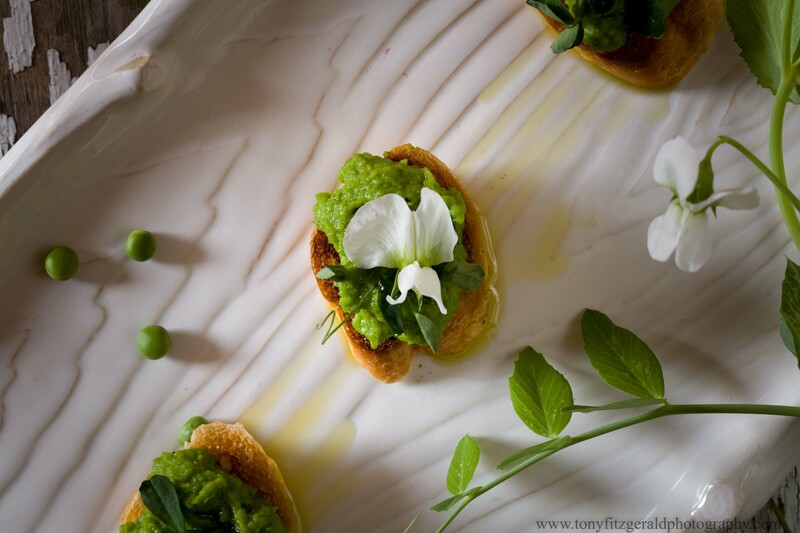 Crostini with fresh pea puree then topped with pea tendrils and flowers from the garden. Drizzle with a really great olive oil and sprinkle with fleur de sel and you have the perfect spring time appetizer. The puree was made by sauteing garlic in olive oil and then adding frozen petite peas – no need to defrost. After a minute or two of cooking they were tossed into the food processor. The frozen peas were just as good as the fresh, and a whole lot quicker.